Augustinian neocalvinists? Anti-capitalist, counter-cultural neocalvinists? Neocalvinist monks? 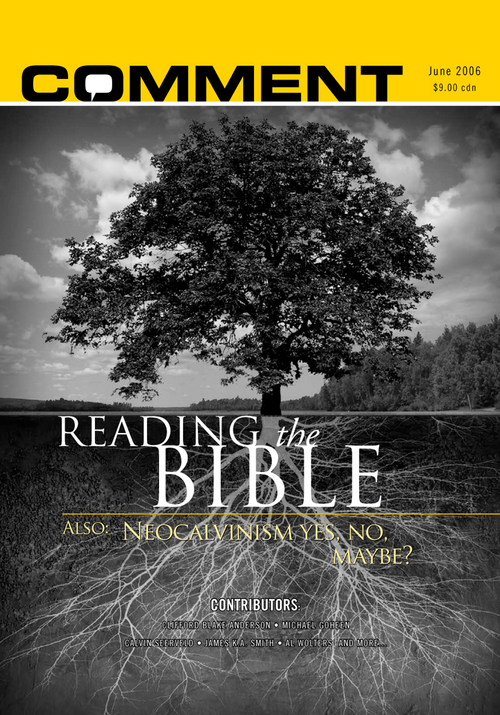 Anabaptist neocalvinists? Neocalvinist charismatic-Pentecostal Christians? 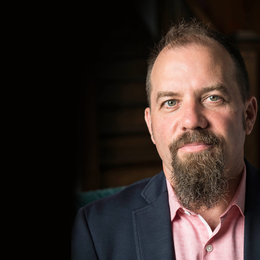 Canadian and Calvin College professor James Smith sketches out his vision of big-tent neocalvinism. In other words, only in relation to a tighter orbit am I seen as hovering on the edge of neocalvinism. And since neocalvinists have often gloried in being marginalized—being on the fringe and falling through the cracks—I'm quite happy to occupy this space in the realm of "maybe." But before articulating any reservations, or the rationale for my ambivalence, let me begin with some affirmations. I imagine neocalvinism as a kind of conceptual toolbox that helps me to get work done in the world. It was not a set of tools I grew up with. In fact, it provided me with a set of tools that helped me to fix a lot of problems I had inherited from the fundamentalism of my early Christian life. So as a 'convert' to neocalvinism, the conceptual tools I found in Kuyper, Dooyeweerd, Wolters, Seerveld, Mouw and others opened up the world for me in ways I could not have imagined otherwise. Unlike some of our young people who weary of the drone of neocalvinist formulae, the framework of "creation-fall-redemption-consummation" was, for me, an absolute epiphany. Al Wolters's formulation of the structure-direction distinction gave me a nuanced tool for cultural analysis that worked better than anything else that had been put in my hand. And the Reformational tension of antithesis and common grace seemed to crystallize just the tension that we experience in this time between times, in the "not yet." But this isn't just a past period for nostalgic reflection. In other words, I don't look back to this inheritance of neocalvinism as a quaint moment in my intellectual progress, later abandoned for something better. While my toolbox has perhaps expanded (I've now got one of those big red ones, on rollers, with fifteen drawers! ), the fact remains that the neocalvinist tools are the most dependable in my conceptual toolkit, and the ones I find myself picking up the most. Granted, like an old Craftsman wrench whose "Craftsman" label has been worn off, my neocalvinist tools for theoretical work and cultural analysis don't always show the label. But those who've used Craftsman tools can recognize Craftsman-tool-like work from a mile away. And, to even further stretch the metaphor, we might say that some people are kind of allergic to Craftsman tools (they're usually Snap-On tools guys). For a host of reasons, they wouldn't touch a Craftsman tool with a hundred-foot pole. But the fact is, I remain convinced these Craftsman tools are the best ones for the job. And so the fact that the labels have been rubbed off my tools actually makes it easier for Snap-On devotees to employ the tools I'm offering. So I continue to find myself constantly picking up these tools in my work—both in the classroom and in research. The conceptual tools of neocalvinism are at the heart of my toolbox and, in fact, are usually strewn about on the bench because they're getting used so often. Which is also why they're a little messy, not polished and pristine, nor put in exactly the right place in the drawers. For real neocalvinists—what we might call "orthodox" neocalvinists—the messiness of my tools is like fingernails on a chalkboard. They look at the way I handle my neocalvinist tools as sloppy and unappreciative of the place each tool has in the entire set (apparently there's a manual that stipulates this). These are like Craftsman tool aficionados who keep all the original boxes for their tools. In fact, they're so worried about keeping the tools neat, clean, and in order, they're almost loathe to put them to work. So they tend to also keep all the boxes the tools came in and are very concerned about keeping the tools organized in the proper order. I'm more interested in the work the tools can do, than the tools themselves. And it's precisely because they work so well that I keep coming back to them again and again. So, before I articulate some reservations and doubts about my neocalvinist toolbox, I hope it's clear that these are some of the best tools I've got. In fact, if I lost these tools, I don't know how I'd make my way in the world. The middle of my toolbox would be empty, and I would find myself trying to hammer a nail with a ratchet. Flutes for s'mores and the problem with "transforming culture"
That said, I have some reservations about this neocalvinist toolbox. And I'm not entirely sure to how formulate this metaphorically. Is it that the neocalvinist toolbox isn't big enough and simply needs to be supplemented with some other tools? Is it just that the set isn't big enough? That there are jobs that need to be done for which neocalvinism hasn't produced a tool? Or is it that there are some defects in some of the tools themselves? Have some hairline fractures appeared in the sockets? Have the tools shown signs of wear and tear, of not standing up to the problems of today? I'm inclined to the former: to see this as a problem of the comprehensiveness of the neocalvinist toolbox. Just recognizing the conditions of finitude should make us open to admitting at least that. It should be no surprise that there is not a tool for every problem, and not even Craftsman makes every kind of tool there is. And so neocalvinism has its own unique resources and apostolate—its own unique set of tools that we should expect would need to be paired with the resources and tools of other sectors of the Church catholic. A mechanic who wants to have a comprehensive toolkit must range beyond what Craftsman has to offer. But my reservations don't stem from the incompleteness of the neocalvinist toolbox. That's to be expected. More importantly, what I'm concerned about is not the tools, but the users. Tools, of course, are merely instruments for achieving desired ends, and while some tools are best designed to achieve certain ends, the tool is always in the hands of a user—and thus what's at stake is just what the user wants to use the tool for. The fact that a flute doesn't make a good stick for roasting marshmallows is not the fault of the flute, nor even the flute designer, but rather the moron trying to makes s'mores with the instrument. So let's retreat from the metaphor for a while and speak more directly to the situation, and my qualms regarding neocalvinism as a paradigm for cultural engagement. These reservations are more existential than theoretical; what has engendered my worries about neocalvinism has been matters of on-the-ground practice rather than philosophical musings. In other words, my reticence regarding the viability of neocalvinism does not come top-down from an ivory tower, but rather bottom-up from the streets and pews. There is, I'm convinced, a geographical element to this. It is a concern that emerges from the place that I am—and I'd be the first to confess that my geographical location—as a resident alien, a Canadian living in the U.S.—is no doubt a factor in this. In particular, I have grave reservations about a growing consensus in evangelical public theology which has hitched its wagon to neocalvinism's vision of "transforming culture." This consensus position, almost unthinkable just a generation ago, is that Christians should be actively involved in the political sphere, and should be involved in a particular way, viz., "transforming" culture as a means of extending redemption and shalom. 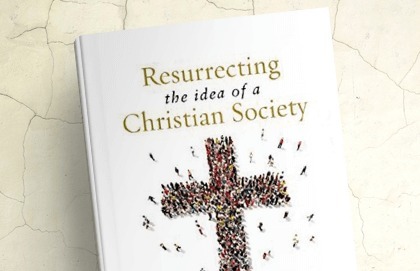 This consensus owes a direct debt to the Reformed tradition, particularly to the doctrine of "common grace" that is invoked as the grounds for an approach to public involvement that is, I would say, quite optimistic (even if it's also offered in the name of "realism"). And in some cases—as seen in the voices of Charles Colson or Max Stackhouse—this "transformative" stance is directly linked to Kuyper and what we'd consider a "neocalvinist" vision. It is just these versions of neocalvinist public theology that leave me with a bad taste in my mouth. Let me share a few anecdotes of "cases" that intensified my reservations about this loosely "neocalvinist" vision of transforming culture, and the fruit it has produced. My first interest in evangelical public theology was sparked by an experience in a Los Angeles supermarket checkout aisle in the fall of 2001. Usually lined with candy bars and tabloids, the checkout line was now bounded by a book display. Rows of hardcover texts were wrapped in a red-white-and-blue cover with writing emblazoned on them. As I inched closer, I could see that these flag-wrapped books were in fact "Holy Bibles," and the writing inscribed on the cover was a quotation from Psalm 33:12: "Blessed is the nation whose God is the Lord." A second crystallization of my concerns was the funeral of President Reagan. Ronald Reagan was a "believer," in many senses of the word. His funeral was a testament to these beliefs, and none was more important than that articulated by President Bush in his eulogy: Ronald Reagan, he said, "believed that America was not just a place in the world, but the hope of the world." Indeed, at the heart of Reagan's vision and hope was a civic theology that was forcefully articulated in the John Winthrop sermon read by Justice O'Connor. Winthrop's sermon, like the homily of John Danforth, drew on another sermon: Jesus' sermon on the mount. In particular, Winthrop—and later Reagan, in his first inaugural address—in a move of, let's say, "creative" exegesis, seized upon Matthew 5:14 as a message for America: "You are the light of the world. A city set on a hill cannot be hidden." The referent of "you" in the passage was taken to be a national populace. As Danforth aptly put it, this was "a vision with policy implications," and President Reagan—like Governor Winthrop, and a whole host of Puritan forbears, including Jonathan Edwards—heard in this verse a unique vocation for the nation-state of America. A third experience was related to the visit of President Bush to my home institution, Calvin College. If I could be brutally honest, my reservations about dominant paradigms in public theology, particularly the "common grace" tradition associated with neocalvinism, could be formulated in Woody Allen-like terms: I'm suspicious of any club that can have George W. Bush as a member. That President Bush could invoke Abraham Kuyper as an ally for his neoconservative vision was enough to give me pause about the viability of the project bequeathed to us by Kuyper (and now picked up by Chuck Colson). By that I mean I have become more and more suspicious of the "common grace" paradigm in public theology precisely because so often I find advocates of common grace who are also staunch supporters of both the foreign and domestic policy of the current administration. That in itself is enough to tell me something is wrong with neocalvinism. It seems to me, then, that the neocalvinist toolbox has been put to work on a project that I would see as deeply antithetical to the Gospel. I see neocalvinists employing the toolbox in order to baptize nationalism, militarism, and consumer capitalism in the name of "transforming culture." But I'm left wondering just what is being transformed? Under the banner of "transformation," are we witnessing only assimilation? If our engagements with culture lack the imagination to distinguish between the structure of cultural spheres and their current directional configuration of those spheres, we'll end up simply baptizing the current systems—and I think that's exactly what happens in much that is now associated with neocalvinism. But notice that in this critique, I'm still using my neocalvinist toolbox! So while the public face of neocalvinism might make me squirm, and the way they're using the tools makes me want to hand in my neocalvinist union card, I just can't stop using the toolbox. Thus I've come to conclude that the problem might not be neocalvinism (maybe, maybe not), but rather neocalvinists who, in fact, might be picking up the toolbox for all the wrong reasons. Hence my ambivalence, but also hope: perhaps it is precisely a more radical employment of the neocalvinist toolbox that can show just what's wrong with so much that goes under the banner of neocalvinism. 1. If and only if neocalvinism recovers a deep sense of the antithesis. This first point gets at the heart of just how to identify neocalvinism, and if I'm going to keep my neocalvinist union card taped to the outside of my toolbox, it's going to require the neocalvinism have a "big tent" sense of identity and solidarity. What worries me about the current versions of neocalvinism is not just their collusion with political and economic forces that worry me, but also their restrictive and narrow sense of "who's in." Many of these folks place an almost absolute priority on common grace and transformation to the point that it becomes a shibboleth for being in the club. This kind of small-tent mentality is historically forgetful and practically exclusive. It fails to appreciate how central the antithetical stance is to the genius of neocalvinism. In this respect, I have very much appreciated Richard Mouw's continued exhortation to see even the most radical versions of the antithetical stance as still "in the family," as it were. Not only must we make room in the neocalvinist tent for those who more strongly insist on antithesis, we also need to be open to rethinking the categories of common grace and antithesis. The version of these concepts inherited from almost a century ago demand continued reflection that is careful, rigorous and nuanced. This is just to say that our thinking about antithesis and common grace must be semper reformanda. Let me give one example in this regard. I think we would do well to declare a moratorium on the epithet "pietist" that is so quickly and easily trotted out in neocalvinist circles. As part of the truce, I'd be happy to give up hurling the insult "Constantinian" at my transformationist, common-grace confreres. Granted, from the common grace perspective, an antithetical stance can sound like a simply anti-cultural pietism that rejects the good structures of this world. But in the same way, from the perspective of the antithetical stance, common grace confidence in transformation too often looks like a failure to discern the apostate direction of given cultural structures. Once we appreciate this, I think we can move beyond the insults. Instead, what we need is an honest, open, charitable dialogue that helps us push beyond the epithets to a more nuanced appreciation of what's at stake. I believe that we find ourselves in what Klaas Schilder would describe as an "emergency situation." And if neocalvinism is to be viable as a cultural strategy in our contemporary context, I think it is imperative that we constructively retrieve a sense of the antithesis. 2. If we understand neocalvinism as a catholic tradition. I think the viability of neocalvinism depends on re-connecting it to the Augustinian, catholic tradition of which it is a part. This has several implications. First, it has powerful ecumenical possibilities. To understand neocalvinism as an accent of renewal and reform within the church catholic is to take up an apostolate that serves the global, catholic body of Christ. This is just to say that neocalvinism is a conceptual toolbox that could (and should) find a home in the garage of any sector of the catholic church. This means that what we have to say would be offered as a gift to Christians beyond the boundaries of Reformed communion. Second, thinking of neocalvinism as catholic would reconnect us to the wisdom of the tradition and open us up to mining the resources of ancient and medieval thought. The genius of neocalvinism is embedded in powerful ways in the work of Augustine—and also Aquinas! Third, seeing neocalvinism as a movement of catholic renewal should also open us up to a more sacramental understanding of both the world and worship, and seeing worship as one of the central practices for inscribing in us the habits that make us agents of renewal. I think it is recovering a sense of the catholicity of neocalvinism that would help us to reconnect the cultural and intellectual project of neocalvinism to the embodied practices of worship and discipleship. This helps us to appreciate just how foundational the life of the institutional church is for the church as organism. And, as it turns out, this would just be recovering the "whole Kuyper"—putting together the Kuyper of "Common Grace" with the Kuyper of Near Unto God. 3. If neocalvinism can welcome the Spirit's charismatic renewal. Albert Wolters recently confessed: "It is my belief that a 'charismatic neocalvinist' is not a contradiction in terms." Thanks be to God, or I'd be a walking contradiction! My own introduction to and immersion in neocalvinism was concurrent with my own pilgrimage to Pentecost and identification with charismatic Christianity. I found in the wholistic worldview and anthropology of neocalvinism an articulation of just what I was experiencing in worship and spiritual disciplines in the charismatic renewal. I think Wolters is absolutely correct in discerning a deep affinity between neocalvinism and charismatic Christianity, and I think that the future of both would be well-served by their mutual interaction. And given the shape of global Christianity, I think this represents a critical opportunity for neocalvinism to serve the global church. 4. If neocalvinism can think of the possibility of a "Reformed monasticism." Now, this might be pushing it. But I want to suggest that a "test" for determining whether neocalvinism can be a big tent is to consider whether it can imagine such a thing as a "Reformed monasticism"—which, at first blush, must seem like a contradiction in terms. But I think this flows out of my first three points: if neocalvinism is going to recover a robust sense of antithesis, reconnect with a catholic (Augustinian) vision, and be open to the spiritual practices and disciplines of a charismatic faith, I think this is just to say that it needs to envision the possibility of a neocalvinist monasticism, since monasticism would embody all three of these elements. Indeed, Augustine provides the paradigm in this respect: while he is invoked by the common grace stream of neocalvinism as a champion for their transformational confidence, he was also the founder of urban monastic communities guided by The Rule of St. Augustine. If Augustine could affirm monasticism, can neocalvinism? This gets us at the heart of the tension between the common grace version of neocalvinism (about which I have doubts) and the more antithetical rendition of neocalvinism (about which I have hope). Often transformationist, common grace advocates disparage more antithetical stances as "counter-cultural," and thus not offering what Max Stackhouse has described as a "reconstructive theory of society as a whole." This antithetical stance is disparaged as counter-cultural, and therefore anti-cultural and other-worldly. In short, such antithetical claims indicate a movement of monastic withdrawal from "any earthly social order." But wait a second: don't alternative communities remain "earthly?" Isn't the desert still on earth? How is monastic "desertion" identified with being other-worldly when the monastic community is ipso facto an embodied community on earth? Are we confusing counter-cultural with being anti-cultural? Here a little tool from the neocalvinist toolbox is helpful: the illuminating distinction between what "structure" and "direction." Creation does have a certain given structure such that there are spheres of life and realms of human community that are constitutive of human being-in-the-world. For instance, the realm of commerce—exchange and distribution of goods and services—is an essential part of the "structure" of creation, and thus also to be affirmed as good (Gen. 1:31). However, the givenness of this structure can and does take form in different directions, which are not natural or given, but rather constructed by human culture. Globalized capitalism, for instance, is one direction that the structure of commerce can take; only a lack of imagination would simply equate capitalism with the economic order of creation as such. Thus, a common critique from common grace folks just doesn't hold: many holding the transformationist view look upon such a critique of capitalism as a benighted, naÃ¯ve, apolitical rejection of the realm of culture. But this simply isn't true: it remains a viable, orthodox, and ecumenical mode of Christian cultural engagement for Christians to reject a current configuration (read: "direction") of commerce (as in globalized capitalism) without being dismissed as quaint monkish sectarians. Indeed, not even monks deserve this critique! As I have already suggested, "alternative" monastic communities are not a withdrawal from culture as such. They are attempts to resist a dominant and corrosive direction of cultural institutions by embodying alternative configurations which reflect the possibilities for re-directing these institutions in Christ. The monastic community has an economic ordering, too. The Church catholic—the first globalized institution—holds out the possibility for a global alternative of redeemed institutions and practices of commerce, distribution, and exchange, which resist the dominant direction of commerce under the sway of capitalism. Desertion, then, is not a way of abandoning the world, but a way of showing the world what it could be. While I sometimes struggle to see myself as a neocalvinist because of what I see this theoretical toolbox being used for, I can still imagine myself within the stream of neocalvinism if the tent would be big enough to absorb these four themes. And here it should be noted that each of these themes also implies a dialogue partner for neocalvinism, and I think the viability of neocalvinism hinges on its being in dialogue with other Christian traditions—and being in dialogue primarily in order to listen. In order to appreciate the antithetical stance, I think it is crucial that we carry on conversations with the Anabaptist tradition; to recover a sense of catholicity and sacramentality, we need to be in deep discussions with both ancient and contemporary Catholic voices; to imagine a neocalvinist charismatic spirituality, we need to seriously and humbly listen to our pentecostal and charismatic brothers and sisters around the globe; and to think about the possibilities of monasticism, we need to hear both ancient catholic voices and being listening to conversations about the "new monasticism." Then maybe, just maybe, neocalvinism will have room in the tent for someone like me. A Silicon Valley entrepreneur offers a minority view on "progress."